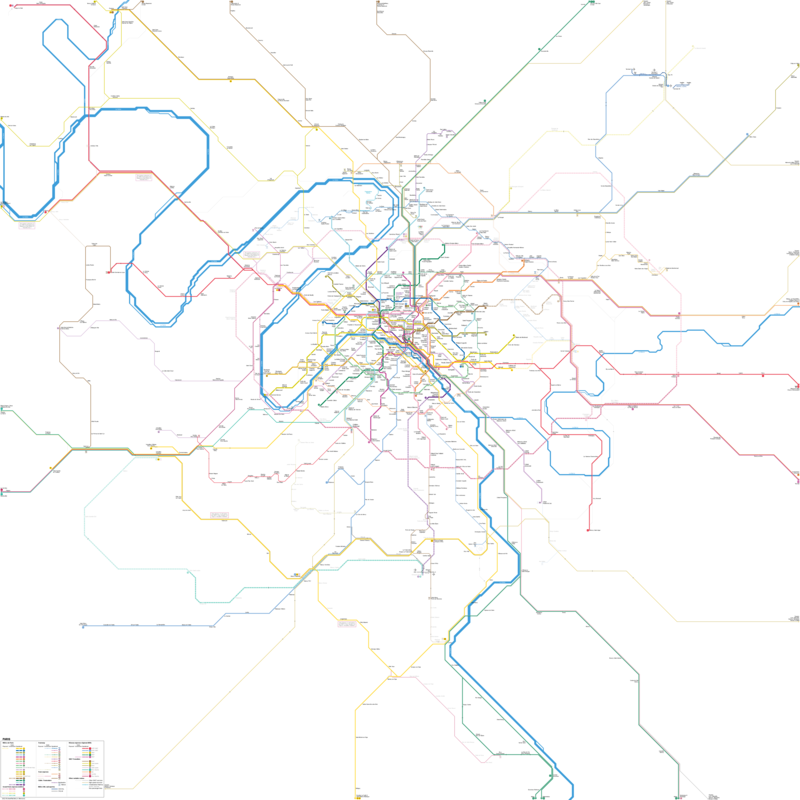 For full-sized map, incl. 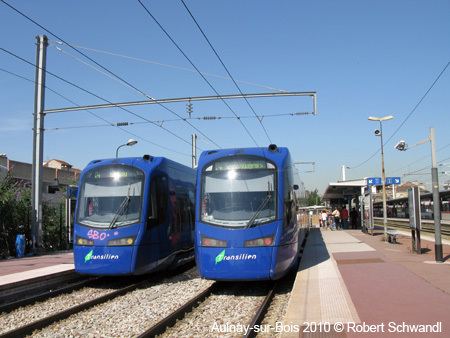 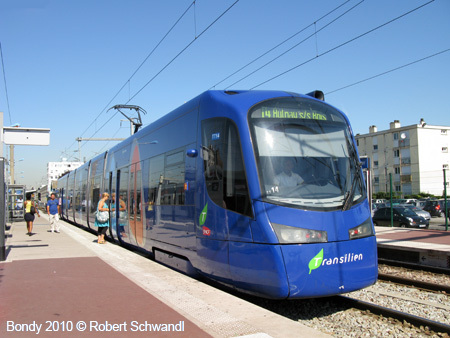 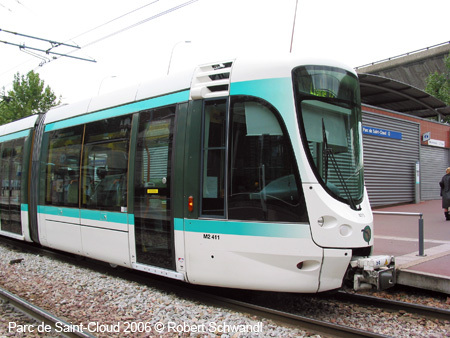 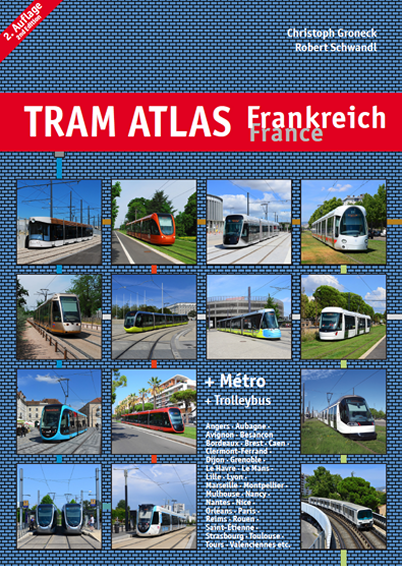 all tram & metro lines, click here! 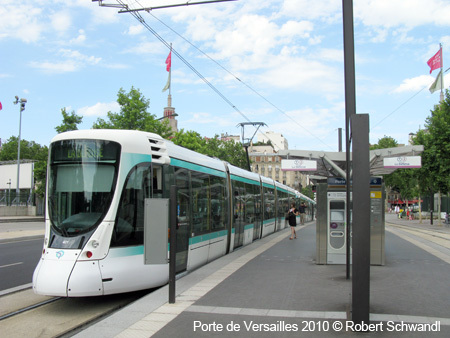 Paris, the capital of France (9 million inhabitants in Greater Paris), is one of Europe's largest cities. 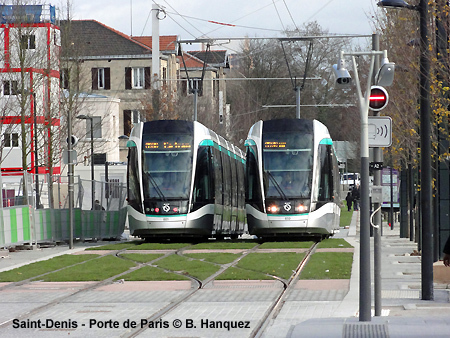 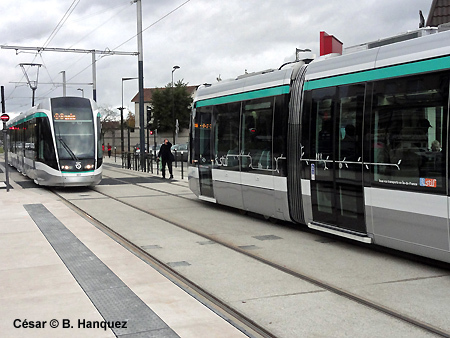 A project website for the western extension to Colombes (Stage 1, 2019) is here, and to Nanterre (Stage 2) here! 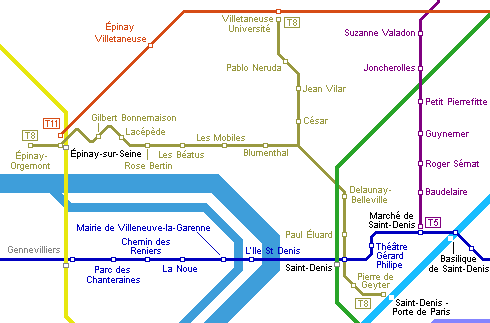 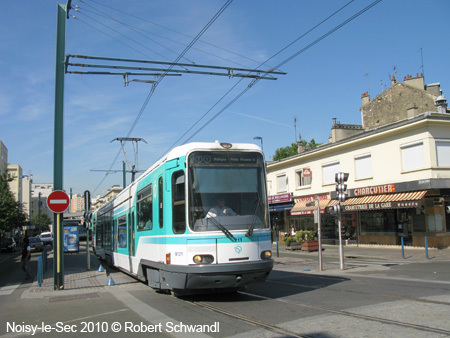 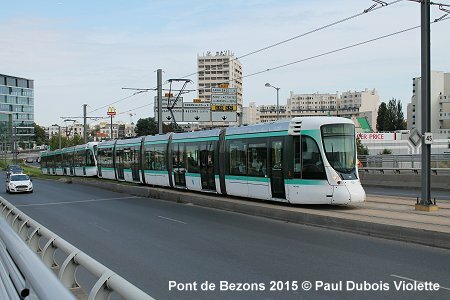 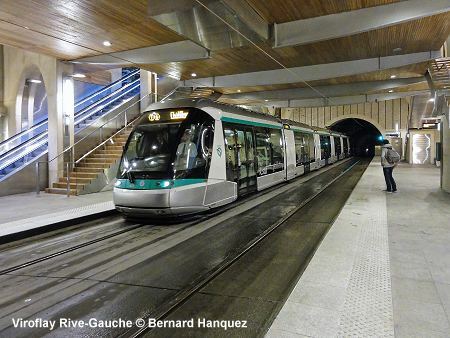 - extended east from Porte d'Ivry to Porte de la Chapelle (14.5 km, 26 stops) on 15 Dec. 2012, creating actually two separate lines, T3a and T3b. 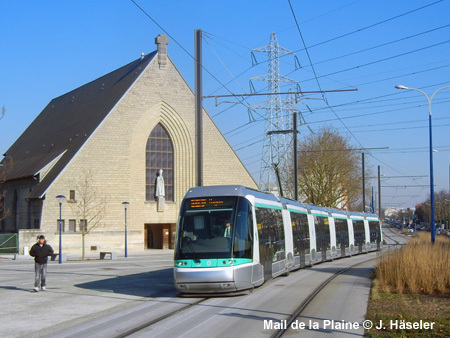 - extended further west by 4.3 km from Porte de la Chapelle to Porte d'Asnières on 24 Nov 2018. 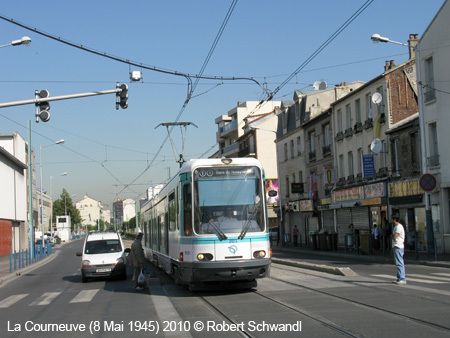 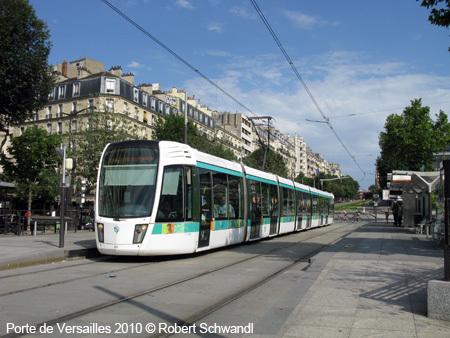 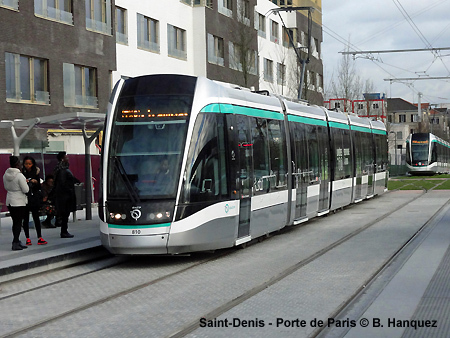 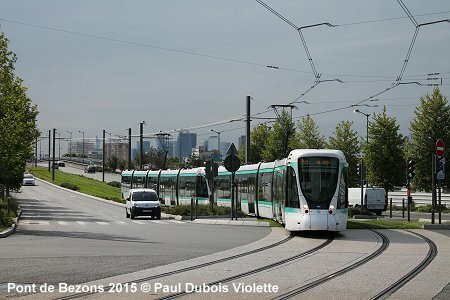 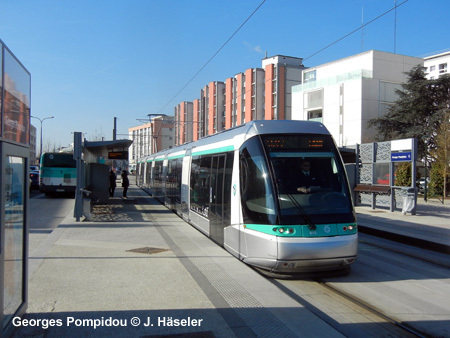 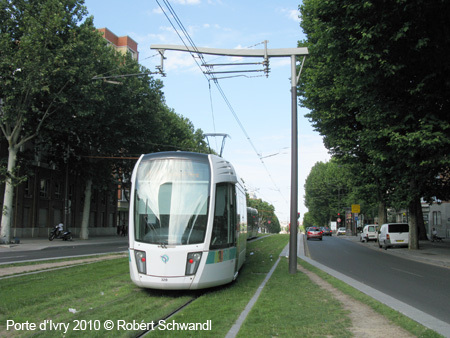 Planned to run from Porte de Choisy (M3, T3) 10 km southeast to Orly by 2020. 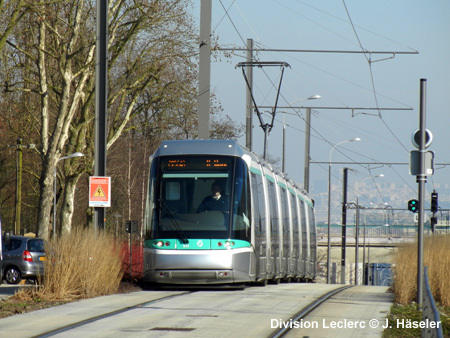 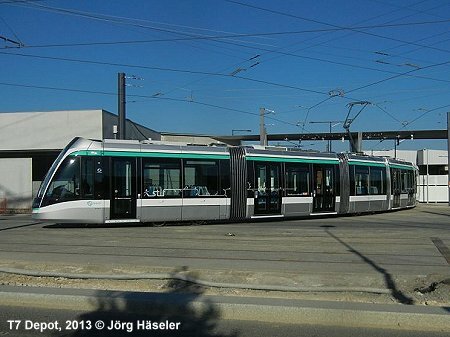 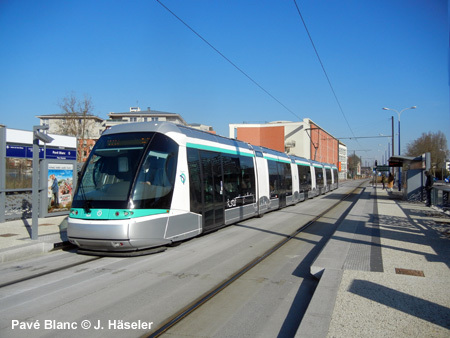 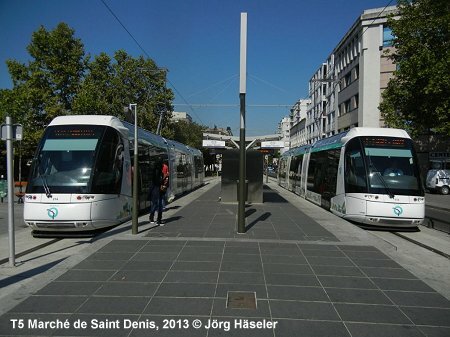 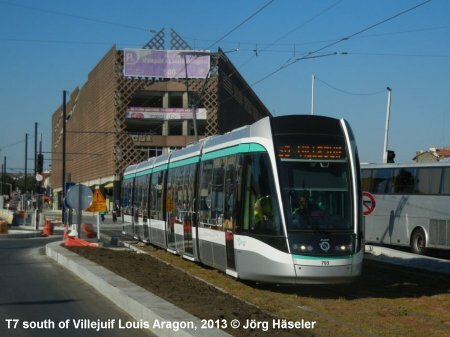 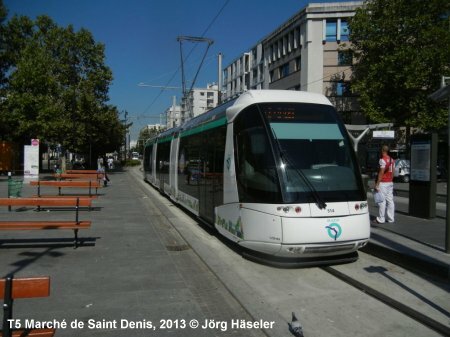 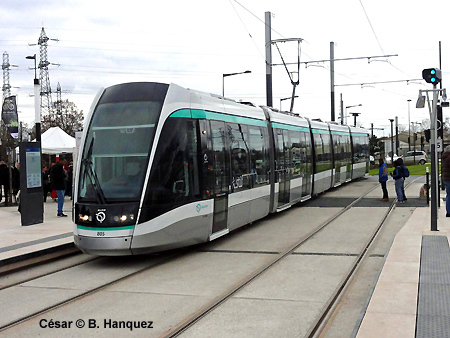 - also referred to as "Tangentielle Nord"
To be extended into a 28 km route between Sartrouville in the northwest of Paris and Noisy-le-Sec in the east. 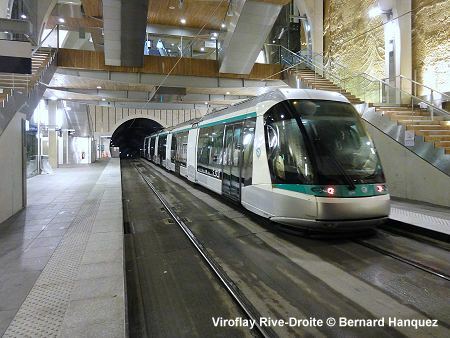 Thanks to Alex Riabov, Jean Liou and Jordi Serradell!